More than a third of people in South Tyneside fail to walk for 10 consecutive minutes a week, according to the Department for Transport. Public Health England has encouraged adults to walk for at least 10 minutes a day, but 36% of people in the area don’t manage one 10 minute walk a week. Across England the rate is 31%. Figures from Sport England’s Active Lives Survey show that South Tyneside has a lower than average weekly walking rate. The annual Active Lives survey, which ran from November 2016 to November 2017, asked a random sample of 534 adults over the age of 16 in South Tyneside how active they had been in the past four weeks. Dr Brannan said that being physically active reduces the risk of serious illnesses, like heart disease and type 2 diabetes. In South Tyneside people were more likely to walk as a leisure activity than for travel. Some 43% of people said they took a recreational stroll at least once a week, compared with 37% that travelled at least once a week on foot. Walking was least popular in Fenland, where 43% of survey respondents admitted they didn’t manage a weekly 10-minute walk. The most dedicated walkers were found in Canterbury, where 45% of people took a 10-minute walk at least five times a week. In 2017 the Department for Transport announced it would be investing £1.2 billion of funding into helping more people to walk and cycle. 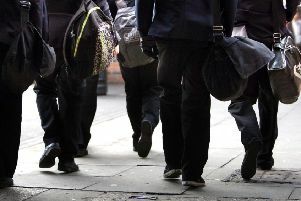 It is investing an extra £620,000 on outreach programmes to encourage children to walk to school. Transport Minister Jesse Norman said: “Cycling and walking provide enormous benefits to both public health and the environment, and it’s good to see evidence that people are opting for a more active lifestyle.